India’s new Prime Minister Narendra Modi swept into office in May on a message of aspiration, and a reputation for action. During the nearly 13 years that Modi served as chief minister of Gujarat, before arriving in New Delhi, his successes included drastically curtailing the number of hours that manufacturers in India’s premier industrial state went without electricity. The state’s transmission grid was strengthened and Modi promoted the development of 900 megawatts of solar generating capacity. That’s equivalent to the power generated by a large nuclear plant. These steps and many others fit Modi’s mantra of “less government and more governance,” as well as the prime minister’s deep understanding of the influence of adequate energy production in reviving a flagging economy. Perhaps the most useful and telling national economic trend that greets Modi as the new prime minister, the one that clearly attracted interest in his candidacy, is the country’s candid assessment of its deteriorated condition. A decade after India’s economy regularly exceeded eight percent annual growth, and the nation was seen globally as the next economic juggernaut, India is slipping badly. Endemic corruption, impenetrable bureaucracy, suffocating air pollution, vile freshwater supplies, and off the hook population growth make doing business in India a test of courage. Foreign companies have fled by the hundreds. Just as significant is how India manages its natural resources as a social welfare program that produces startling outcomes. One of the most damaging examples is gifting to grain farmers free water, free electricity to pump water from overtaxed aquifers, and subsidized diesel fuel to run generators that power the pumps when the electricity cuts off. The result is a dangerous and expensive cycle of risk, built into the country’s political infrastructure, that simultaneously produces huge food surpluses that rot in Punjab grain depots, dire electricity shortages that hurt businesses and homeowners, and rising fossil fuel trade deficits. Indians in every region of the nation, in every trade and profession, at every level of society understand that the social, economic, and ecological chaos that is modern India could hardly get much worse. Prime Minister Modi has a decent chance to fix some of this because he starts his work at the place where the reality of India’s troubled prospects meets the earnest hopes of its talented and determined people, what Modi during the campaign called “Achche Din Aane Wale Hain,” the good times that are ahead. But Modi needs to help India define what he means by “the good times.” And he’ll need to target a handful of priorities to work on immediately, priorities sorted from the extravagant number of problems that require solutions. One of those priorities should be fixing India’s faltering energy production. In plain words, India is not producing enough energy to supply its citizens, businesses, and communities. The biggest challenge is in the electricity supply. The numbers posted annually by the Ministry of Power tell the story. By March 2014, India’s utilities developed 237 gigawatts of generating capacity. Over the last 5 years, the average annual increase in generating capacity has been 14 gigawatts. That is sufficient to provide the average Indian household 684 kilowatt-hours of electricity annually. The U.S. this year has 1,050 gigawatts of electrical generating capacity, enough to provide the average American household over 13,000 kilowatt-hours annually. China has 1,150 gigawatts of generating capacity, which provides Chinese homeowners an average of 3,300 kilowatt hours annually. While it’s true that India generates more electricity each year, the rate of annual growth — 14 gigawatts — means it will take at least five more decades for India to generate levels of electricity that are comparable to what France, Germany, the United States, and China generate today. And with a population that is growing 25 million new mouths a year, according to the World Health Organization, India by 2055 could have 2.3 billion people and require 1,500 to 2,000 gigawatts of generating capacity to serve its power demands. Though it’s difficult to predict the future, there is ample evidence in every sector of India’s electrical production industry that getting close to the 1,000-gigawatt goal is one of the country’s primary challenges. 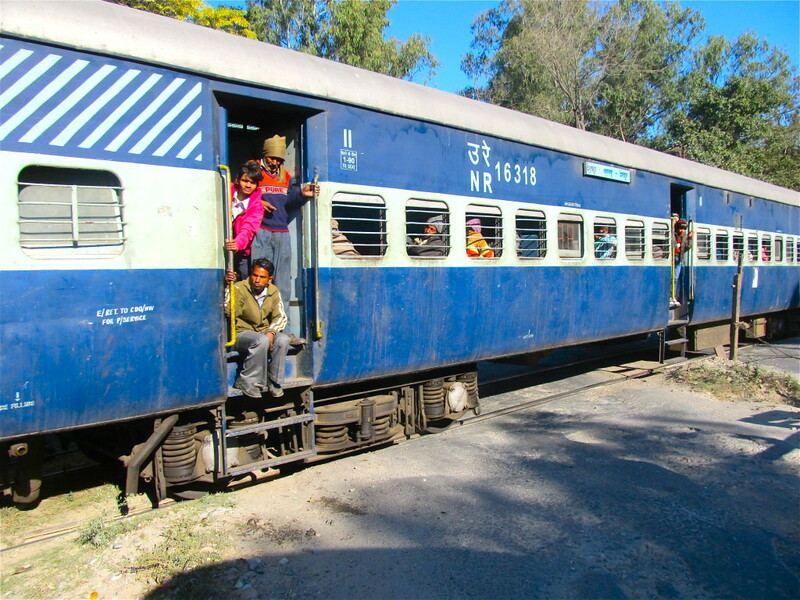 Over the last two years, as a correspondent for Circle of Blue, I’ve traveled three times to India, spending nearly three months touring coal, wind, hydroelectric, solar production zones, and coal-fired generating stations. The results of that work are collected in Circle of Blue’s Choke Point: India project, which we undertook in partnership with the Wilson Center, an international research institution in Washington, D.C. In three articles published earlier this year, Circle of Blue reported on the reasons for the mismatch between India’s rising demand for electricity and its inadequate supply. On April 2, in Uttarakhand’s Furious Himalayan Flood Could Bury India’s Hydropower Program, we reported on how a wicked Himalayan flood killed thousands of people and may have drowned India’s long campaign to diversify its energy production with big Himalayan hydropower projects. We documented that the flood seriously damaged at least 10 big projects in operation and under construction in Uttarakhand, a Himalayan state. 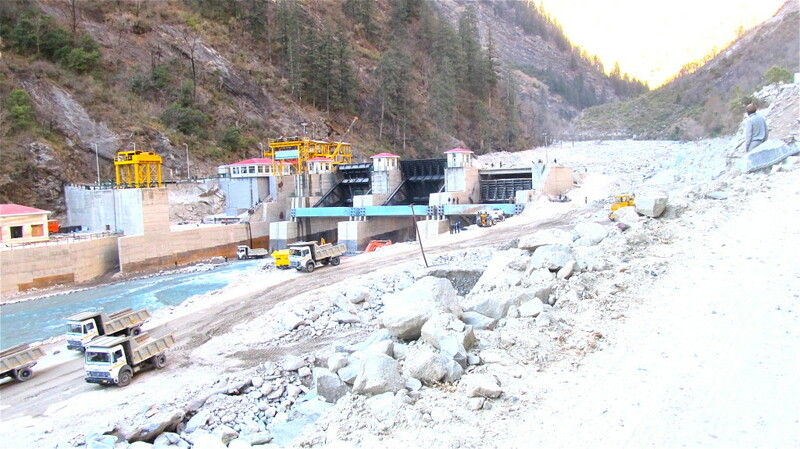 Another 19 small hydropower projects that generate under 25 megawatts were destroyed. On May 15, our article on coal production, India’s Treacherous Coal Mines in Meghalaya found that just like the incredible ecological ruin that is occurring in many of the world’s other fossil energy development regions — West Virginia’s mountaintop removal strip mines, the tar sands of Alberta, Canada, and Nigeria’s polluted coastal oil drilling region — coal mines are laying waste to Meghalaya, an energy-rich state in northeast India. They also are killing lots of miners. The Meghalaya coalfields are a landscape that define a developing nation’s determination, even recklessness, to pursue an ambitious strategy of energy production and western-style economic growth almost at any cost, and without much regard for the costly side-effects. On May 28, we looked at solar and wind development, India Harvests Sun and Wind to Save Water and Power a Slowing Economy, the brightest outlook in India’s deeply troubled energy sector. The only truly encouraging prospect India holds for actually achieving its ambitious energy production goals comes with renewable energy, particularly the wind and solar industries. Since 2003, renewable energy technologies have added an average of 2,600 megawatts of electrical generating capacity annually, according to the Central Electric Authority. That represents 22 percent of the 11,805 megawatts of generating capacity that India added annually in the same time period. The articles confirm why energy production should be considered as one of Prime Minister Modi’s top priorities. Take a look. Previous PostPrevious Peru’s Recession and Insurgency Revives Its Democracy; Example For the U.S.?